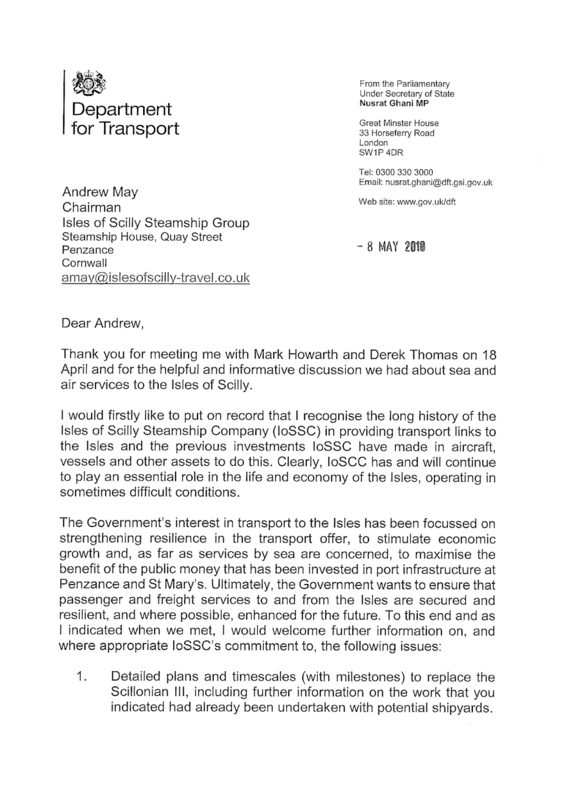 Friends of Isles of Scilly Transport: Letter from Shipping Minsiter to Steamsbip company dated 8 May 2018. 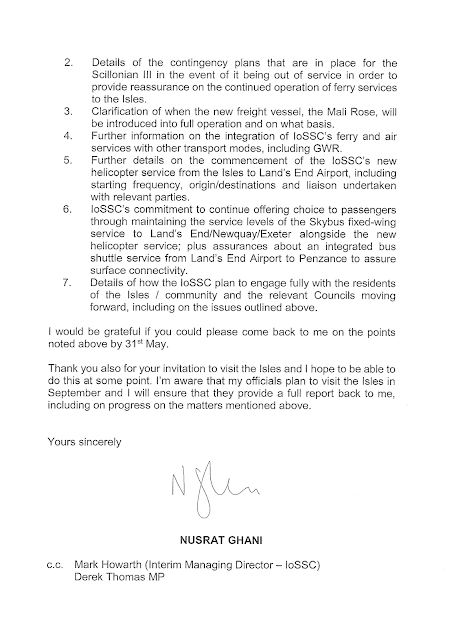 Letter from Shipping Minsiter to Steamsbip company dated 8 May 2018. 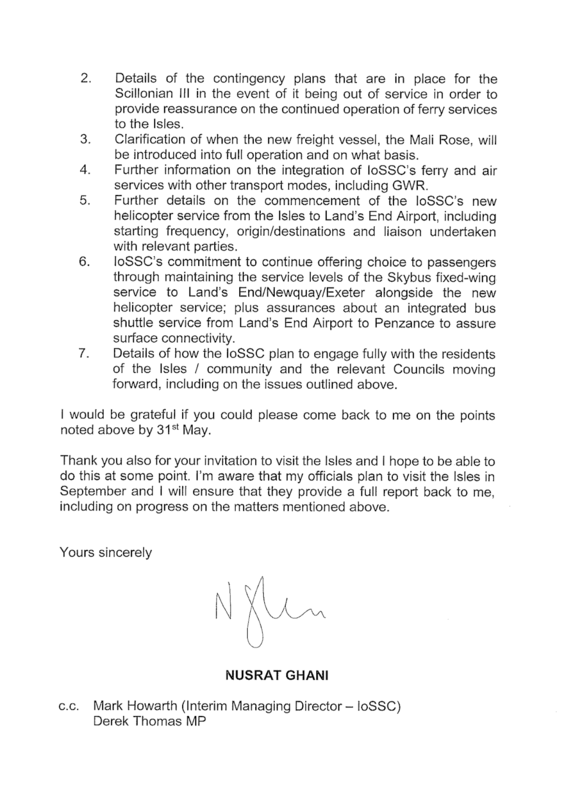 Letter from Shipping Minister Nasrat Ghani MP to Andrew May, Chairman, Isles of Scilly Steamship Group. Posted by Marian Berkeley, FRIST Co-ordinator 4 June 2018.